Ticket price includes table service and processing fees. Seating is limited to 50 persons for each event in order to preserve the opportunity for personal interaction between the chefs, performing artists and our patrons. Event will proceed rain or shine. Monica moved from the small southeast Texas town of Kirbyville to Los Angeles in 1998 to study the culinary arts. She was hired as a line cook at Spago Hollywood under the direction of Wolfgang Puck and Gina DeCew Moi. 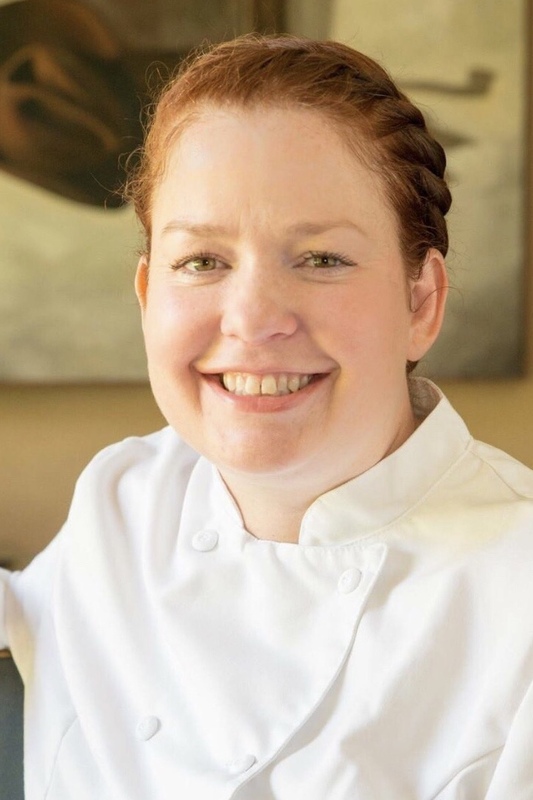 She was then awarded a scholarship to West Lake Culinary School under Cecelia De Castro.After her time at Spago, Monica worked as a private chef, commercial food stylist, and chef at Burning Man for a group of 100 festival attendees. After Burning Man, she made her way to Cairo, Egypt. There she was the chef of a 1901 river steamboat on the Nile river. Monica eventually moved back to southeast Texas and married local artist, John Cobb in 2004. Eight years and two children later, Monica started pop-up "Renegade Dinners." Once a month she would host a private dinner where everything served was "wild caught, shot, and foraged." This paved the way for Banh Mon Renegade Street Food food trailer where she launched her specialty Banh Mon sandwiches and salads. Now you can find Monica in the kitchen of her first brick-and-mortar restaurant. Born and raised in Cajun Country, Jolie’s love of cooking has roots that run long and deep. She has cooked for friends and family for as long as she can remember and lived a pretty interesting life in between. She’s had many careers spanning from a bartender in New Orleans to Realtor in Lafayette. Through it all, her one constant was cooking. No matter how broke or how small her kitchen was, she cooked. Three years ago, Jolie started a Sunday Supper, a group that meets most every Sunday to eat, tell stories and get in some good laughs. After decades of recipes and stories, she decided it was time to share with everyone the things she’s learned about cooking and the wonderful people and stories of her life and theirs. In 2018, Jolie had the honor of cooking for Anthony Bourdain and was included “Parts Unknown” - the episode was the last he filmed in Louisiana. The quartet of Good & Young plays old treasures and original gems with all the spirit and know-how their many years and miles have earned them. Focusing on songs and tunes written by Rick Good and Linzay Young, the band, including rhythm section and dancers Sharon Leahy and Emma Young, perform their brand of American music—roots to branches—with driving banjo, soulful fiddling, and heavenly harmonies.